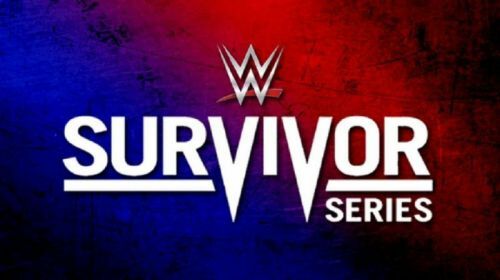 Survivor Series is right around the corner, and we couldn't be any more excited about it! Daniel Bryan is the new WWE Champion, defeating Styles in the main event of Smackdown Live. Even though AJ Styles is no longer the champ that runs the camp, would most fans complain if we got AJ vs Brock for the second year in a row? Charlotte Flair has officially replaced Becky Lynch in her match against Raw Women's Champion Ronda Rousey. Though the match was highly anticipated from the start, Charlotte vs Ronda looks to be an amazing outcome, shifting our focus from an unfortunate injury. The Raw Men's team looks ready to take on the blue side, especially with Strowman in their corner. The rest of the card makes for a promising event full of excitement and it will surely be a night to remember. Let's get into some predictions, shall we? It doesn't seem like anyone is meant to care. So, on one side you have Bobby Roode and Chad Gable, The Ascension, The B Team, The Revival, and Lucha House Party. On Smackdown's team, you have The New Day, The Usos, The Good Brothers, Sanity, and the Colons. Honestly, it doesn't seem like anyone is meant to care. The classic 5 on 5 match is great for the men, maybe even the women too. But the tag team division in the 5 on 5 format just doesn't work as well. The main roster tag team division isn't at it's strongest point. They don't feel important with the way they are booked. So, the same energy being put into these teams by Creative is the same energy being reciprocated by the fans. But nevertheless, let's get into this match. 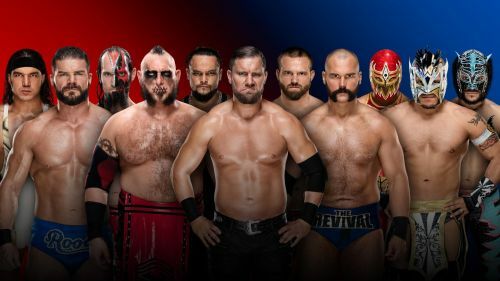 Raw's side has some good teams in Roode and Gable and The Revival. But Smackdown for the win, simply because the tag teams feel a little more important on the blue brand. On top of that, Smackdown's side seems to gel more as a unit. As opposed to just being a good stand-alone teams. If you aren't meant to care about something, there's no reason why you should root for it. Plain and simple.